The DEFPAM-G experiment recently started (04/02/2019 @ 11am, utc) in front of Palma’s Bay (N39.3534° E2.4532°, Fig. 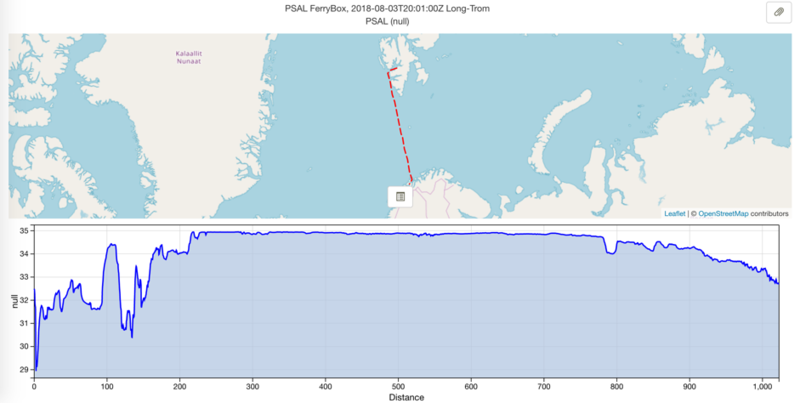 1) by launching SOCIB’s glider Unit-567 (aka SDEEP04) which was equipped with the instrument (acoustic datalogger, BCB, Loggerhead Instruments) provided by the TNA-user-team (Prof. Parmentier and Dr. Bolgan, Université de Liège). Figure 1 – Initial trace of the glider that is running DEFPAM-G. The launching site is circled in red. Initial 24 hours have been considered a preliminary field test whilst keeping the glider close to shore, facilitating an emergency response intervention, in case of trouble. 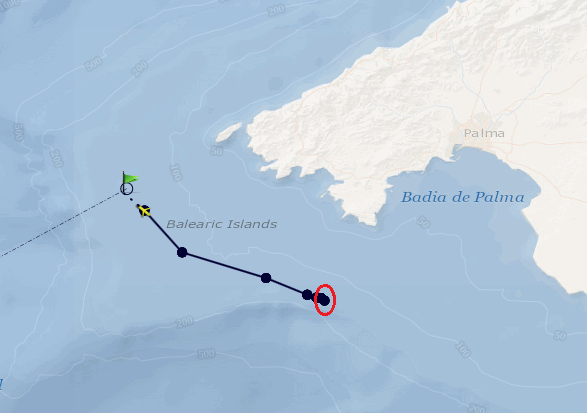 Up to date, all parameters are within the standards and the glider is about to begin the scientific cruise by covering the first leg (Mallorca-Ibiza channel). Nevertheless, the datalogger (Figure 2) was recording sounds since the moment the glider was released. 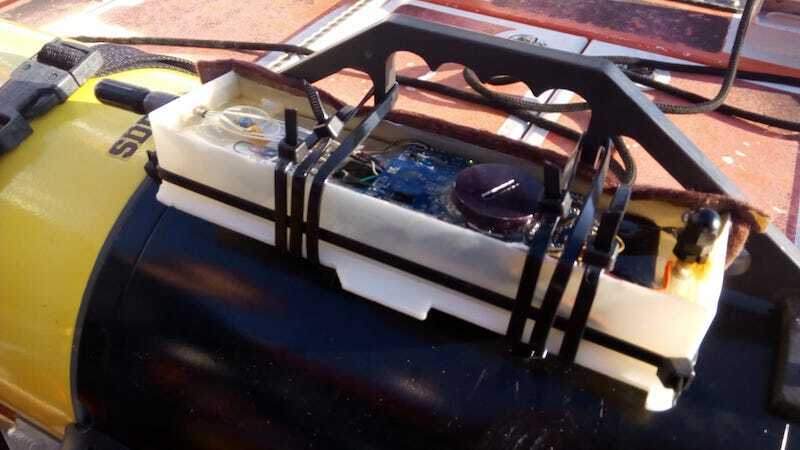 The tactical plan is to cruise (sampling with CTD, OXY and FLNTU, along recording with the datalogger as long as its batteries resist [typically 21 days]) from Mallorca to Ibiza, going around the island of Ibiza and then covering 8-10 Ibiza-Valencia transects. DEFPAM-G stands for ‘DEep-sea Fish Passive Acoustic Monitoring by using Glider technology’. 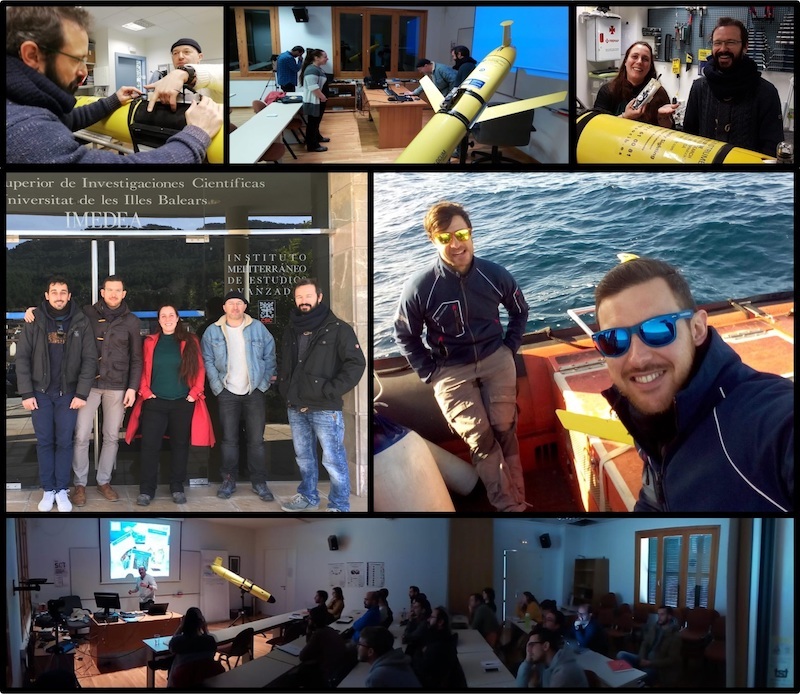 The overarching question of this project is: “Can we couple Passive Acoustic Monitoring (PAM) of deep-sea fish populations to the glider technology?”. The underling hypothesis is that deep-sea fish, which live in a pitch black environment characterised by extreme pressure have evolved to use sounds to re-connect and communicate. 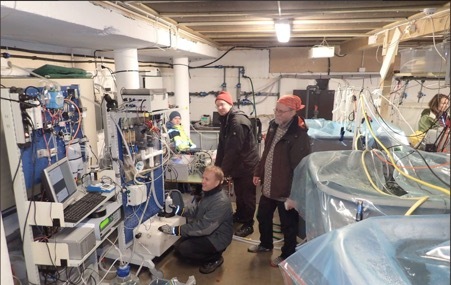 Monitoring these sounds can provide important insights about deep-sea fish life history, cycles of activities and movements. We expect that some Mediterranean deep-sea fish present morphological structures enabling sound production. For example, dedicated sonic muscles have been described in grenadiers (Macrourinae, Gadiformes) and cusk-eel (Ophidiiformes) (Marshall, 1967; Ali et al., 2016; Fine et al. 2018; Parmentier et al. 2018). Because the cusk-eel and the grenadiers make up more than half of the deep-sea benthic fish fauna (Priede, 2017), it is relatively easy to suppose that the deep-sea is rich in fish sounds. In particular, we expect to find a spatial and depth variation of deep-sea fish sounds, highlighting spatial partitioning among species, as well as diversity and abundance variations related with depth. We look forward to the results of this experiment which is a new application for both teams involved, SOCIB and Université de Liège. The TNA is a good opportunity for enjoying sea-work and exchange knowhow between user and access provider ( Figure 3). Finally, the progress of the mission is open to the general public through SOCIB’s on-line deployment viewer http://apps.socib.es/dapp (also through Android and iOS mobile application: https://play.google.com/store/apps/details?id=com.socib&hl=es). Ali, H. A., Mok, H. K., & Fine, M. L. (2016). Development and sexual dimorphism of the sonic system in deep sea neobythitine fishes: the upper continental slope. Deep Sea Research Part I: Oceanographic Research Papers, 115, 293-308. Fine, M. L., Ali, H. A., Nguyen, T. K., Mok, H. K., & Parmentier, E. (2018). Development and sexual dimorphism of the sonic system in three deep-sea neobythitine fishes and comparisons between upper mid and lower continental slope. Deep Sea Research Part I: Oceanographic Research Papers, 131, 41-53. Marshall, N. B. (1967). Sound-producing mechanisms and the biology of deep-sea fishes. Marine bio-acoustics, 2, 123-133. Parmentier, E., Bahri, M. A., Plenevaux, A., Fine, M. L., & Estrada, J. M. (2018). Sound production and sonic apparatus in deep-living cusk-eels (Genypterus chilensis and Genypterus maculatus). Deep Sea Research Part I: Oceanographic Research Papers, 141, 83-92. Priede, I. G. (2017). Deep-sea fishes: biology, diversity, ecology and fisheries. Cambridge University Press.